As Australian’s ageing population continues to grow, so too does the demand on healthcare providers and the complexity of the population’s care needs. Dr Aged Care is a practice of roving doctors who deliver much needed care in residential aged care homes around Victoria. 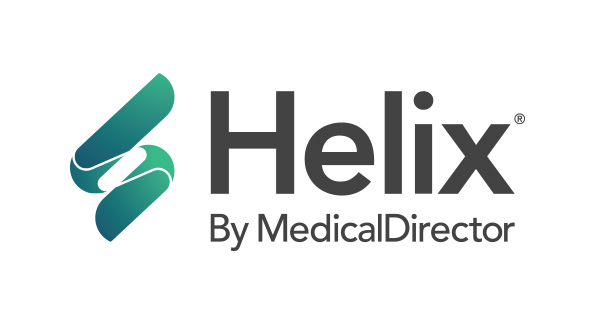 Helix, a cloud-based clinic software solution from MedicalDirector, provides not only the flexibility to deliver care throughout the community, but also the interface to effectively manage the health of elderly patients, many of whom have complex care needs. Dr Azadul Islam runs a practice dedicated to providing healthcare services for nursing homes and aged care facilities. Treating patients in this particular demographic has its own challenges, and offering remote services means his practice needs flexible software. "The flexibility of the cloud-based software allows us to carry our laptops around with us into different rooms and complete consult notes in real time." “Helix loads quickly and displays all relevant patient information in one display, without having to open and close up different windows. It’s important Doctor Aged Care’s database can be accessed anywhere, as it delivers care across multiple facilities, and often for immobile patients. It also needed an interface that provides a holistic patient view, displaying all relevant patient information easily, without having to open and close new windows. As a cloud-based software, Helix provided this flexibility and the Wi-Fi provided by the nursing homes is all that’s needed to provide comprehensive care. “We work with mature patients who have multiple medical conditions, meaning treatment can be complex. Therefore, we need to have all patient information in clear view during our consultations." Dr Aged Care works with elderly patients living with multiple, often chronic conditions. Finding a solution that met these specific needs was a challenge. Most clinical software solutions don’t display comprehensive patient information in a single-view. Medical practices rely on locally hosted and managed IT infrastructure, which limits the flexibility the provider can offer. Roving GPs often have to enter information multiple times as on premise software solutions don’t easily allow real-time data entry. Helix by MedicalDirector, a web-based cloud solution for practice management, was the ideal choice for Dr Aged Care as it provided the flexibility and functionality that the practice requires to effectively treat and manage the health of elderly patients. Helix’s cloud-based functionality enables access to a practioner's database from any location, without the need for a locally-hosted server or particular IT infrastructure. With Helix, Doctor Aged Care has full view of their patients’ medication list, medical history and timeline of results wherever they go. Backed by more than 20 years of industry experience and technical experience by the best in the business, Helix is easy to execute, access and navigate.